Fans of the 1998 movie, The Truman Show, starring Jim Carrie, might remember the “How’s it going to end?” lapel pins worn by fans of the fictional reality show that followed the life of Carrie’s lead character, Truman. After four years of furious activity and debate and with Vermont’s July 1 GMO food labeling deadline rapidly approaching, now seems like the perfect time to ask, how will the GMO food labeling debate end? Capitol Hill just can’t seem to get clear of the issue. Congress has debated the merits of GMO labeling for three years, hitting several crescendos along the way when it appeared a solution was within reach. Time and time again, Republicans and food industry interests on one side and Democrats and consumer activist groups on the other have been unable to agree on the right path forward, leaving consumers in the lurch. This week, the Senate Agriculture Committee voted to approve a voluntary, digital GMO labeling approach and that bill will find its way to the Senate floor for a vote in the next few weeks. However, there is not a lot new in the “Roberts Bill,” and since opponents are dead-set against a voluntary GMO labeling system, odds of of S. 2609 becoming law are low. Interestingly, a proposal was offered during the S. 2609 mark up hearing earlier this week that went virtually unnoticed until reported-on by Politico. 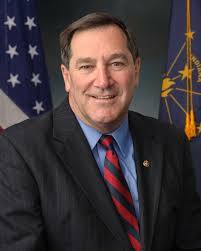 Senator Joe Donnelly (D-IN), briefly introduced, then retracted, an amendment to the bill that will likely be the next and final effort by both sides to reach a compromise if Roberts’ bill fails. Donnelly’s amendment would give food companies 3-4 years to put into place a digital GMO disclosure system. The proposal would also negate Vermont’s GMO labeling bill and prohibit other states and local jurisdictions from passing GMO labeling mandates (on package or digitally). The Donnelly Amendment also includes benchmarks for food company adoption of a voluntary digital GMO disclosure system – 65% in the first year and 85% by the end of year three, all under the watchful eye of the United States Department of Agriculture. Monetary fines can be levied for non-compliance after three years, and if the 85% benchmark is not met by the end of four years, the Secretary of Agriculture can recommend to Congress that it make digital GMO ingredient disclosure mandatory for all foods and beverages. In essence, the proposal gives industry 3-4 years to test, de-bug and gain 85% adoption of its digital Smart Label program, launched by food companies in December. If they can’t attain that goal, they can be fined $1,000 for each violation and Congress MAY choose to compel them to participate. The third scenario may seem far-fetched to some, but think about it in the context of a Democratic president and Democratic control of one or more chambers of Congress. In the short term, passage of the Donnelly Amendment looks like it will put an end to the GMO food labeling debate. In the long run, it may eventually be seen simply as hitting the pause button on one of the more emotional public policy and marketplace issues of our generation.